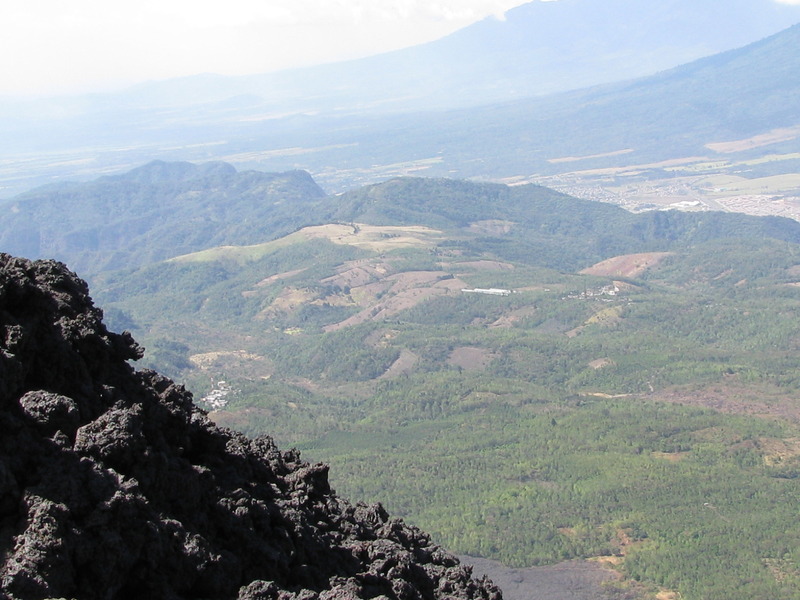 One of the most difficult hikes I have ever done was hike to the top of Pacaya, an active volcano in Guatemala. The views were amazing though. This photo was taken near the top. And this photo is of the lava. I had never seen anything like it before. 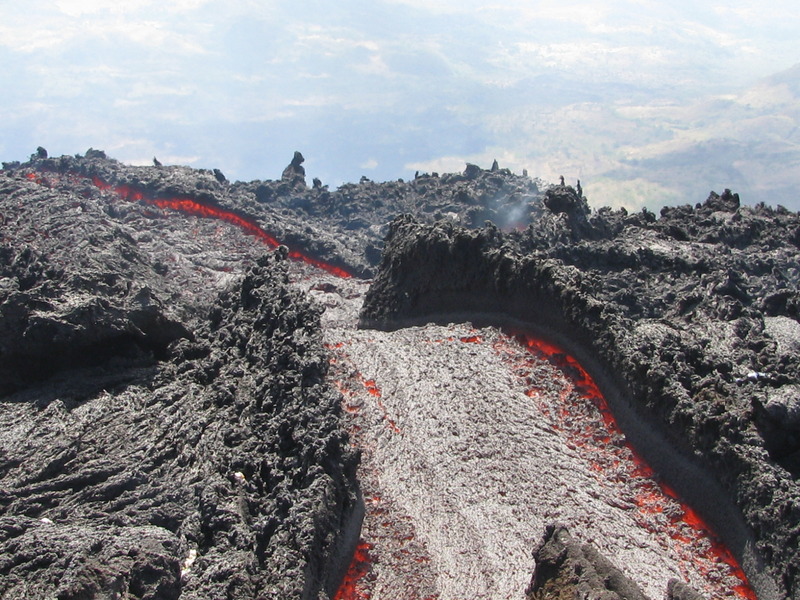 This entry was posted in Central America, Travel Photos and tagged Active Volcanoes, Central America, Guatemala, Hiking, Lava, Life, Pacaya Volcano, Photography, Photos, Travel, Travel Journal, Travel Photos, Volcanoes. Bookmark the permalink. The smell is intriguing. I was blown away by the heat. I knew it would be hot, but I didn’t expect to be able to feel it like I did. We could tell we were getting closer and closer to the top since it was getting hotter and hotter. I’m with you Andy, I would love to do it again. Our middle son is absolutely enamored of volcanoes. Can’t wait to show him this post! They are incredible aspects of nature and to see an active one was wonderful. I hope he enjoys. WOW, that lava picture is amazing. I am so fascinated by volcanoes, and I would love to see one someday! That must have been an incredible experience!! It really was amazing. Even though I was sore for a few days, the hike was brutal, it was a once in a lifetime thing. Very hot…just walking around it my feet were on fire. These experiences really make me appreciate the power of nature. I’ve been really lucky…and I have someone who is just as crazy as me to travel with. That helps. Is the lava always flowing or only sometimes? I wish I would have had the chance to do this volcano when I was in Guatemala yet I had such limited time in Antigua. Next time, right ! I don’t know the status of it now. It erupted a year after we visited. When I was there, they said that it was always flowing. But now, I really don’t know. If you go to Antigua again you should check it out. It was awesome. Even the hike to the base of it was beautiful. Not sure about all the destruction though. That lava is interesting. I suspect in a few years, it will be be base for abundant foliage. I really didn’t expect to see such a flow coming out of it. It looked like a really hot slide. fantastic,I could never climb that hill so I’m glad you did and shared the experience! It is a great country to visit. The people are amazing and there are many volcanoes. Where we stayed, we could see three of them, not including this one that we hiked. WOW!! How close could you get to the lava? One of my dreams is to see a live volcano like that. Amazing!! It was wonderful and we were right there. There are no railings or anything at the top. You can stand as close as you dare. The heat forces you to stay back though. And hopefully commonsense. Awesome! I have never seen lava like that before either! Wow, amazing! Thanks for sharing this! Wow – that’s quite a view! What a great adventure. It must have been quite warm being so close to all that hot lava. It was warm…and the rocks under our feet were like heaters. Ohh really like the lava shot… awesome. Kudos to you – that looks like quite the hike and with such rewards. It is apparently hot, with the red showing – how could you get so close? Was it emanating a lot of heat? Yes you could feel the heat and if you put your walking stick between the cracks it would start to smoke. It erupted a year later and that really scared me, even though I was safe and sound in Boston. Made me think! What a beautiful experience. I should climb more mountains! Oh wow, the things we all long to do. 🙂 Lovely photographs. I should climb more mountains so I won’t be so out of shape…this hike kicked my bottom. Good luck with your mountain hiking aspirations. It was wonderful to see firsthand. I would love to go to Costa Rica! It is on my list. I don’t remember the smell as much as I remember feeling the heat from it. But, if my memory isn’t as bad as I think it is, it is a mixture of sulfur, rotten eggs, and ash. But the heat is the thing that really sticks in my mind. I could just feel it coming from the lava…and the surrounding rocks were hot to touch. nature is so interesting, breath taking and beautiful at the same time! I would love to see and experience this up close. It was a cool experience. Thanks!